How to recover that encrypted, ext4-formatted logical volume you allowed Fedora to create! 1)You have no time and you want to try the latest Fedora release because it looks pretty darn good. 2) You accept the default disk partitioning scheme which the kind people at Red Hat / Fedora project set up for you, because they only have your best interests at heart, right? 3) While using this cutting-edge release, something nasty happens like, ooh, perhaps a sound driver locks up the entire system and you have to hard-reset the machine (that is, switch it off by the power switch because nothing responds to input). What next? If, like me (on one occassion) you try to boot up the machine and get no further than the recovery console, you’d feel a bit aggravated. But there is an alternative – do a disk check. You may have read my verbose coverage for How to do a disk check in Linux before. This takes it one step further – how to check your logical volume when it’s encrypted and formatted using the latest ext4 filesystem. Instead of the method used before, this time I booted from a Live CD. You can find one to download at the Fedora project. Ensure that this CD matches the release of the version you are trying to recover. In this case, that’s Fedora 10. …to become the root user. This is essential to using all the disk tools. .. but this would return nothing. What’s happening here is that the Volume Group, located on that partition, is itself encrypted. Once unlocked, you can then gain access to both of the Logical Volumes – the swap volume and the root (/) volume. The number of cylinders for this disk is set to 12161. So the partiton of type “Linux LVM” (Logical Volume Managed) is the baby we’re after. This sets up the encryption/decryption kernel subroutines to allow access to device /dev/sda3, mapped to a device node called “mydisk” in /dev/mapper/ . We’ll not actually need to use this device node, but it could be handy to know if you needed to perform further diagnostics. We can deduce from the sizes of these two volumes that the first of the two is the root (/) volume, and the second is the swap volume. As the purpose is to FIX the filesystem on it, which may have become corrupt through the hard-reset performed earlier, we do not want to mount this volume. Instead, as we now have a device node for this activated volume, at /dev/VolGroup00/LogVol00, we can simply perform a disk check straight on it. Now there are two more steps to perform: de-activate the volume group, and lock the encryption of the drive. The second command returns nothing, which means it did not error (the disk is now encrypted and not writable-to without unlocking again). I hope that helps someone with a sense for adventure but not enough time on their hands for when things go somewhat awry! Fedora 16 is here. With all GNU/Linux distributions, newer versions generally mean better hardware support, usability and so on. Unfortunately, for users of netbooks, laptops and basically any hardware that contains Realtek’s 8192e wireless chip, things can still be problematic. I posted, previously, a rather kludgy solution to fixing this in Fedora 14. Then 15 came along, and the fix I was using then no longer worked. This is because my previous solution installed the Linux kernel staging drivers for a kernel version very similar to that running in Fedora 14 (but actually built for Ubuntu). Now that we are 2 versions of Fedora down the road (12 months, then), is the situation better for the humble RTL8192e_PCI ? Sadly, no. The main problem is that the 8192e driver is still in the Linux driver staging tree rather than in the main code line. In the respected opinion of the Linux kernel developers and testers, this means the code isn’t good enough to be enabled by default. Quite when it will be “ready” to hit the trunk, I’m not sure. In the meantime, this means you have to install the kernel’s development modules (staging drivers). ThinkPad T420. Shiny and new. 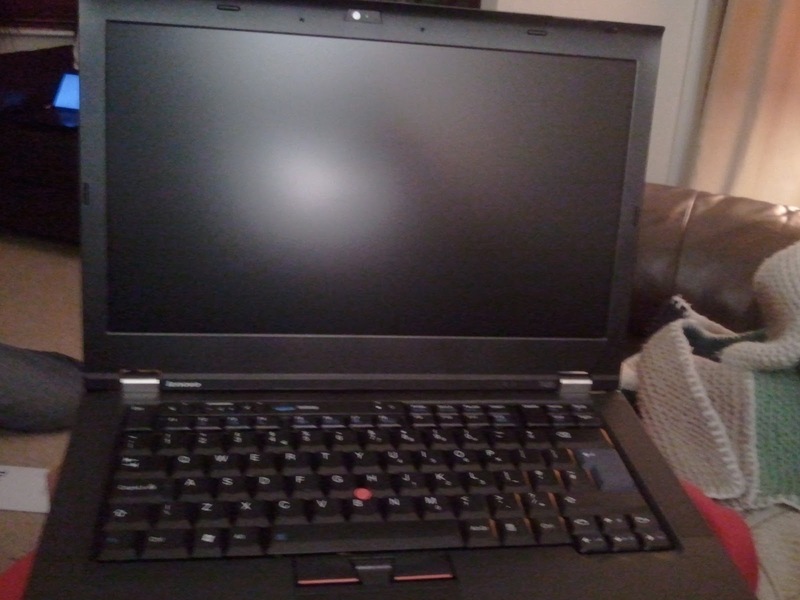 It is with incredible reserve that I discuss my new Lenovo ThinkPad T420, such is my excitement. As a natural born geek, software developer and sysadmin, there is something about a ThinkPad which is “just right”. The lure of a ThinkPad is unquestionable. It’s the promise of your best bit of code ever. It’s the idea that it’ll be with you for years; your faithful companion. It’s the reassurance of industry-leading build quality and top-spec engineering, using high quality components. But it’s more than that too. It’s an identity, a bit like that of Apple users – but thankfully in more self-respecting way. You have a ThinkPad, you join an elite. It’s everything you want. You want this so badly that it comes as a bit of a surprise when all is not quite what it seems. Branded accessories – one of those indulgences. As Lenovo only offer such spiffing hardware bundled with a throwaway operating system, you must suffer the wasted hours and ridiculous horseplay that ensues from such choices being made for you. We are all too familiar with this scenario… so, I’ll continue! Unbox, connect battery, plug in power, switch on. It switches itself off. And then back on – phew! Do you wish to use Norton to protect your PC? I choose No. It prompts again: “Are you really, really sure you don’t want to use Norton???”. I really, really confirm that yes, I don’t want to use Norton, thanks all the same. Further into the installer, you are prompted to accept the Windows EULA (end user licence agreement). At the same point, you are also prompted to accept the Lenovo warranty terms. You cannot proceed if you choose only one. I imagine that this is another Microsoft “initiative”, a bit like Restricted Boot, which attempts to force people (through fear, usually) into sticking with Windows. Finally, it finishes setting up Win7 and loads up the desktop. On the offchance that there is a warranty issue, I decide to make a backup using Windows Backup. Unbelievably, the Windows partition (C drive) contains 26.39GB of data. WHAT??!! This is a freshly installed operating system. How on earth can it consist of so much… bloat?! There is also a system partition (1.6GB, of which 900MB or so is used) and a Lenovo recovery partition (17GB, of which 9GB is used). So, I have 36GB of disk space used up for a fresh install of Win7, plus some Lenovo utilities and Google Chrome (installed by default – the only good software choice made by Lenovo so far). Hesitantly, I begin the backup process to Verbatim DVD+R discs. 3 hours later, now on the 4th disc, the back-up process fails. The error given is unspecific. I now have a collection of 4 shiny new drinks coasters. 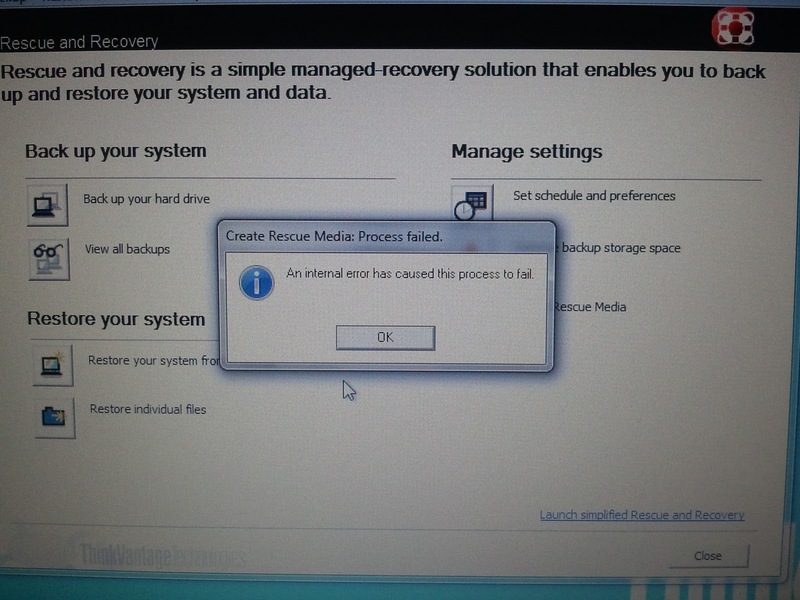 I dig into the Lenovo software and find that I can install “Rescue and Recovery” software, presumably from the Lenovo recovery partition into Win7. I install it, which takes about 4-5 mins on this core i7 2640 machine. Oh, wait a sec, what’s that? Some pop-up just appeared above the clock in the right hand corner. Something about Norton doing something, was that? Oh, it’s gone. So, despite being really, really clear that I did NOT want Norton installed on my machine, er, there it is. Installed on my machine. Poor Lenovo, poor. And it gets better. Creating recovery media fails. Classic. I fire up R and R and find the option: Create Recovery Media. This looks more promising. I fire it up, stick in a DVD+R (still have 6 left, hopefully that’s enough..). It starts off, “extracting files”. And then stops, and fails. Apparently, in this instance, I may be able to expect Lenovo to ship me out some recovery CDs. So far, any reasonable, sane person would not feel very confident using Win7 on this machine. The dream probably wouldn’t be shattered, but clearly the software configuration is dysfunctional, ignoring user preferences and showing some worrying reliability issues out of the box. Luckily, being part of an elite means that you don’t follow the masses. The throwaway software, bundled with the machine, is designed for people who don’t, won’t or can’t think. It’s also designed for those who blythely accept it, probably “because it’s safer”. Well, luckily for Windows users it must be a lot safer now that Norton is installed, regardless of your wishes! Phew! Fedora 16 live CD, running on this T420. The alternative, as always, is to not accept what you are given. Instead, seek a better solution that you can feel confident in. For this ThinkPad T420, the better solution is GNU/Linux, Fedora 16 flavour. You download a live CD, burn it to disc and restart the computer. The CD boots up into a “live desktop” (this doesn’t affect any data on the hard drive). From the live desktop, you run software (e.g. Firefox) as if it were installed on your computer. 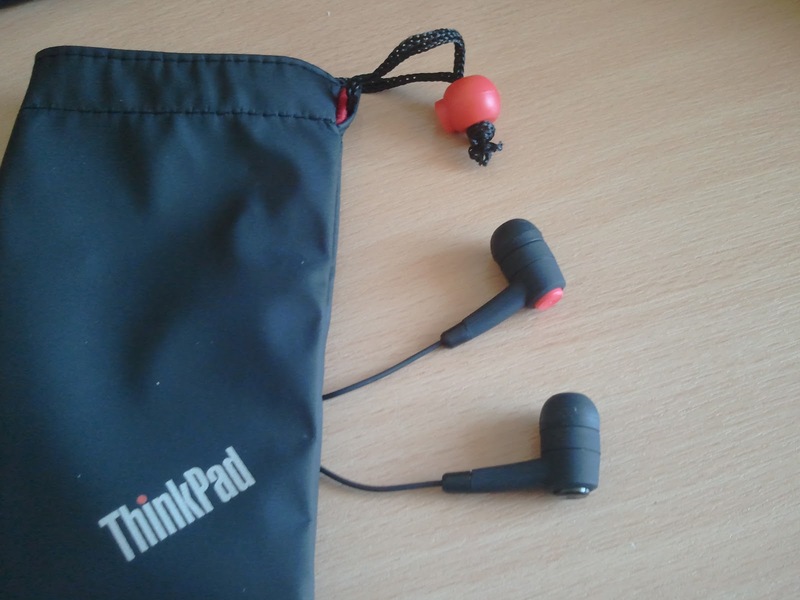 On the ThinkPad, all hardware is automatically recognised and usable immediately. From the live desktop, you have the option to install this software to your hard disc. How refreshing: choice. But don’t take my word for it, try it yourself. If, that is, you have the mind to. 5) answering emails and ordering an ssl certificate. /lib/ld-linux.so.2 missing? libXext.so.6 can’t be found? I recently [at the original time of writing] installed Fedora 11 [x86_64] on a test machine, to see how the development desktop build of my favourite Linux distribution is doing – and it’s very nice indeed. .. and it was running on the native (OpenJDK) 64-bit JAVA runtime! How’s that for progress! Convert FLAC to ogg, or ogg to mp3, or wav to.. whatever. Introducing GStreamer! Short one today – I was looking for a way of converting all my ripped CDs to an alternative format for portable audio use. Here’s a useful link for doing scripted, recursive audio format conversion. Now you can rip all those CDs to FLAC format (which is lossless, unlike lossy mp3 – CBR or VBR) and then convert the lot to mp3 for the iPod, car, etc. Of course, you could pay for a commercial alternative or even – heaven forbid – “upgrade” your iTunes for DRM-de-restricted AAC files (which are still lossy-format files anyway). So, why bother, when a CD costs the same and has better sound quality? Forget digital downloads, until they respect your freedom. Buy CDs!! It is a Linux distro aimed at being totally “free” (as in speech, not as in beer). Fedora is the distribution I am most familiar with. I believe Red Hat is actually a pretty cool company and they are serious about the user community. Fedora always aims to be cutting-edge. I like that. I plan to record my experience of installing Fedora 9 on my blog so that people who are considering switching to Linux, or switching from another distribution to Fedora, can decide what the benefits might be. It’s also going to serve as a reference for myself, so I can see why it’s such a good/bad idea to do it again! Finally, I have gained so much by simply being interested in Open Source software, that I felt it was about time to give something back. As an English graduate, documentation is probably the best thing I can start with. I hope it’s of help to someone!